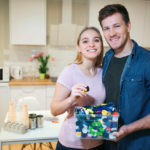 The term “Going Green” isn’t limited to complex, expensive appliances, plumbing, solar panels, recycled wood or glass. Even the smallest changes to energy, water, and household resource consumption will produce positive results for the environment. Here are some tips to consider. Tip # 1. 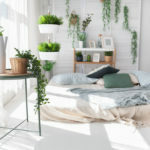 Use Plants and Herbs to improve the air quality in your apartment. Growing a little green garden in or near windows encourages creative outlets, removes carbon dioxide and increases oxygen return. Try adding a favorite household plant in every room, there are endless varieties to choose from. Tip # 2. Program Thermostats. Programmable thermostats take the guesswork out of controlling the average temperature in your apartment. Energy Saver U.S. Department of Energy is an excellent resource; they recommend setting programmable thermostats to about 68° F. during winter days and 78° F. in summer. Open windows to cool your apartment early on summer mornings. Use blinds in the afternoon and close doors to unused rooms to save energy. Tip # 3. Unplug Electronics. Turning off the lights when not in use is basic, but did you know energy use continues unless you also remove the plug from the source? Try to get in the habit of unplugging coffee makers, mixers, toasters chargers and P.C.’s to save both energy and money. Tip # 4. Switch to Earth and Animal-Friendly Beauty and Household Products. Many major cosmetic and household product companies do not qualify as green or cruelty-free, meaning they continue to test on animals. 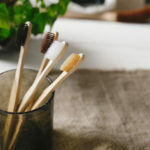 In spite of big business, the demand for earth-friendly products is growing along with customers who are making the switch. Why not support those companies who do the right thing? Many are producing excellent, affordable products without harming the earth. Leaping Bunny provides extensive lists of those who do and do not comply. Tip # 5. Switch from Bottled Water to Filters. 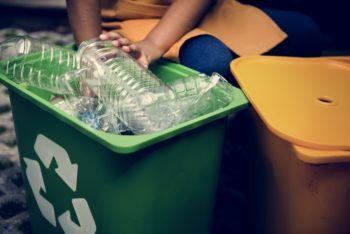 Recycling has not been the success it should have been. Tons of plastic bottles are still disposed of in the trash, resulting in the overflowing landfills seen in the United States every day. Committing to either recycling or the use of water faucet and water pitcher filters will go a long way towards reducing such waste. In addition, many scientific studies emphasize bottled water is no healthier for consumption than water from the faucet. 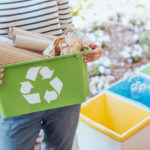 These are just a few of many tips for adopting a clean, green living plan. Feel free to contact us with any suggestions or questions you may have.